The EXYD-N product line focuses on structures created from line designs. 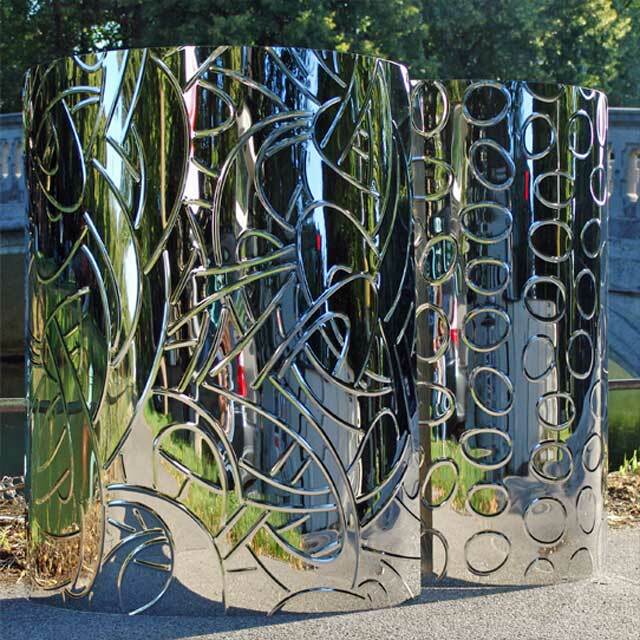 Ornamental designs can be created on flat and also curved surfaces. EXYD-N elements were presented for the first time to the public at the Haus der Kunst art museum in Munich (Herzog & de Meuron, 2006). One of the first real applications came in 2007 in the US – the facade and reception area of an apartment block are cladded with partially curved stainless-steel panels. 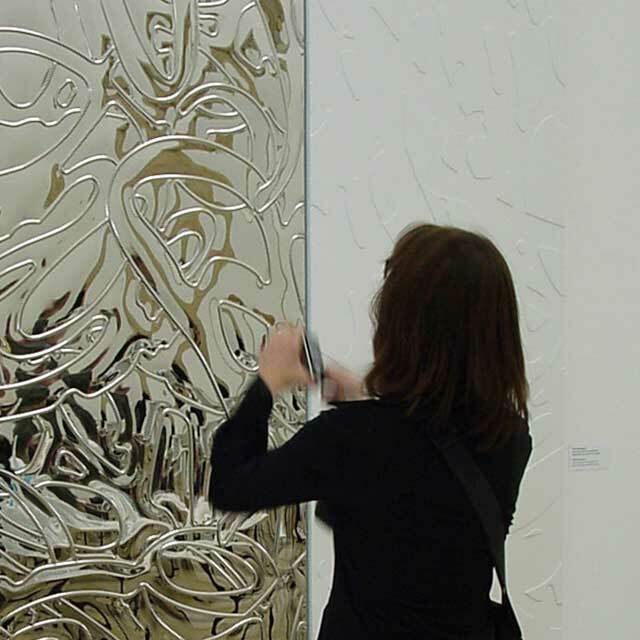 Worked into the surface of these panels are large abstract designs that seem to overlay each other (NYC, 2007).